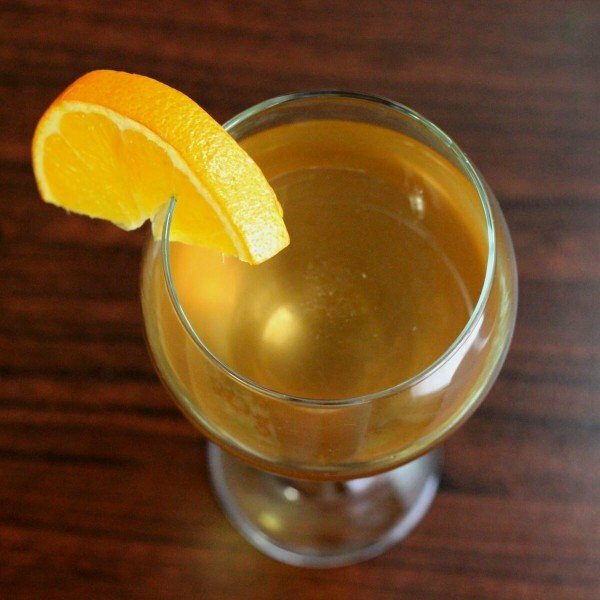 The Scotch Cobbler is a fun drink, particularly for those who aren’t crazy about scotch neat or on the rocks, but like it in cocktails. As with most Scotch cocktail recipes, you want a decent quality but not high-quality scotch for this drink. Not only would using higher quality be a waste of a liquor that deserves to be savored on its own, but higher quality scotches don’t always play well with others. They tend to have distinctive notes of flavor that don’t always blend with the other ingredients. Glenfiddich 12 year scotch is perfect for cocktails: it’s very drinkable on its own, with lovely notes of oak and pear, but not so complex that it ends up fighting with the other ingredients. You can garnish this one by spearing seasonal fruit or by just dropping fruit pieces down into it, sangria style. 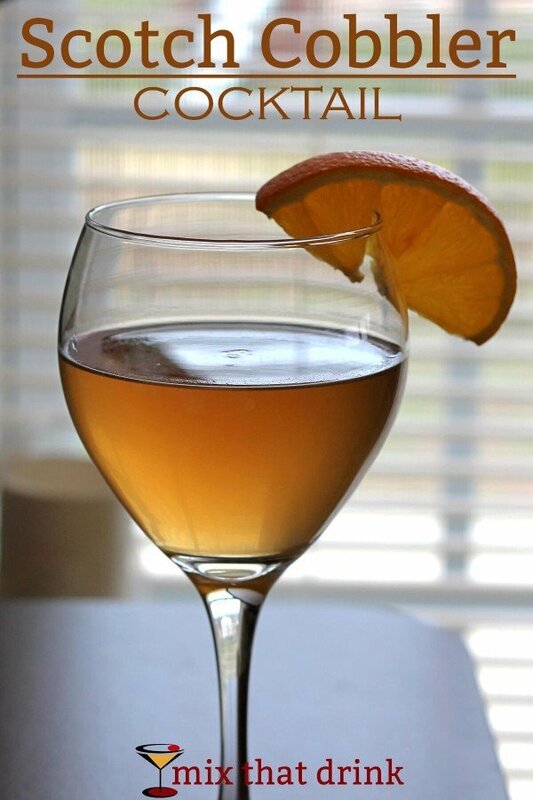 The advantage of doing it the sangria way is that the fruit marinates in the scotch and orange liqueur as you sip it, and then you eat the fruit at the end. That method of serving makes this a fantastic dessert drink, since you get a little bit of fruit along with your after dinner drink. Either way you go, you can’t go wrong. If you’re wanting to pair this one with a meal, try this Slow Cooker Orange Chicken from The Recipe Critic. The orange marmalade brings out orange liqueur, and the brown sugar blends wonderfully with the Scotch. You could serve the chicken along side a Garlic Snow Peas Stir Fry from China Sichuan Food. If you’re just snacking, this drink pairs wonderfully with a good triple creme brie. Pour the ingredients into a wine or old-fashioned glass filled with ice. Garnish it with seasonal fruit and/or mint sprigs.